Located on the widest stretch of beach in Goa, this impressive property is nestled on 3 acres, offering the best beach resort experience-Sparkling ocean views, pristine white sand beaches, enticing multicuisine dining options. Marquis Beach Resort is located at Candolim in North Goa. Apart from offering world class accommodation and dining it is best known for having one of Goa's best beachfront wedding venues. 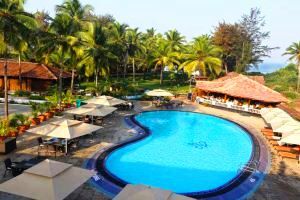 Located just 4 kms from the Dabolim Airport lies on of Goa's coziest and inviting resorts which has become well known for hosting intimate destination weddings in Goa. 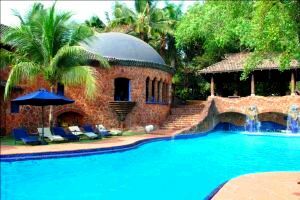 Longuinhos Beach Resort, Goa, is a favourite destination for honeymooners, corporates, bachelors and even families. 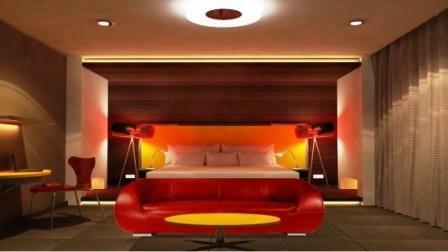 An abode of comfort and style that cajoles its guests with superior luxury in the picturesque city of Goa. Overlooking a peaceful and tranquil lake lies one of Goa's most ideally situated and naturally beautiful wedding destinations. Set between Arpora and Baga, the resort is perfect for weddings of all sizes. Spread across 5 acres lies a modern luxurious boutique resort located in the most happening zones of Goa. Perfect for beach wedding ceremonies and parties, Fahrenheit Resort is one of North Goa's latest and hottest wedding destinations. Nestled in a coconut grove just 7 km from the city of Panjim, the Bambolim Beach Resort makes for a perfect venue for a sunset wedding in Goa. Montego Bay Beach Resort is a hot-spot for beach weddings and is bang on Morjim beach. Unwind with nature in an atmosphere of peace and tranquillity as you are nestled within a coconut grove and a virgin beach. Nilaya Hermitage is a boutique resort located on the cliffs of Arpora in North Goa. The resort has an exclusive wedding venue which can accommodate upto 200 guests. 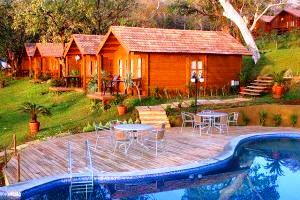 Aashyana Lakhanpal is a small boutique resort which can accommodate upto 30 guests and is the ideal venue for small intimate weddings, anniversaries and special events.